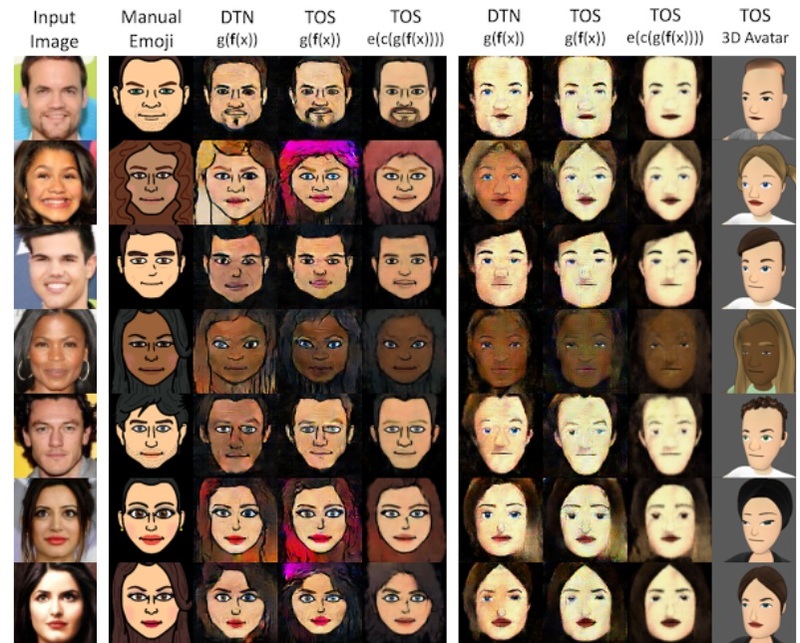 Facebook’s idea presented at an AI conference is a system that generates the best possible representation of a given face, using machine learning to create the best possible match of real face to one in a custom emoji generator. It works through computer vision, which looks for such facial features like freckles, then matches it to the corresponding piece of art from its database; albeit it’s largely reliant on human input for defining the features. So whether it’s emoji, Bitmoji (shudder), or a VR face generator, it could still accomplish the task. And it accomplishes this by juxtaposing both the face and the generated representation by the same analysis and feature identification algorithm, as if the two pictures were the same person. The resulting images generated are a close resemblance, once the two are visually similar to a sufficient degree. As long as there are good representations and bad ones, the system will match them with the actual face and able to figure out the difference. This system could be expedient for many useful purposes — perhaps most appropriately a bespoke emoji system, as it could update automatically when you put up a new picture. The avatar-matching could also be done for other sites — sign into whatever VR game with Facebook and have it immediately create a convincing version of yourself.